Havards Blackmoor Blog: Spelljammer Connection Found! My fake Blackmoor Space cover, which I posted about a year ago, sparked quite a controversy. We all know Spelljammer is an acquired taste. However, when I made the cover I though of it just as an experiment. I had no idea that there actually was an official connection between the two settings. A tradesman called The Happy Gauntlet launches from the [Blackmoor Civilization], its captain completing many voyages before stumbling into an illithid ambush. The entire crew, except for the captain's wife, Sharanger Szeltune, are destroyed by the mind flayer's mental powers. She is mortally wounded but is able to unleash powerful spells that allow her to take the helm and retreat. She then retreats to a safe world, lands her ship in a hidden location and transforms herself into an archlich. The description above is paraphrased from the adventure "I must Go Up to the Stars Again" p 7-8 SJR1 Lost Ships. Granted, the adventure specifies that this is the Greyhawk version of the Blackmoor Civilization. On the other hand, was there really a Blackmoor Civlization on Greyhawk, or just a small region? This can be used or ignored as one wishes. It seems clear that the author, Ed Greenwood, wanted to give a nod to Arneson's setting at least. 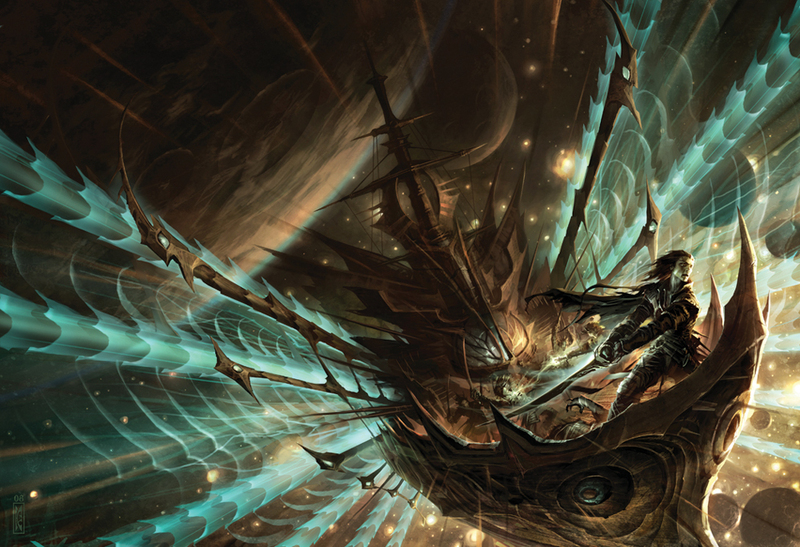 I've got a slight correction: Sharangar completed her transformation into an archlich on the voyage from the battle with the illithids to the (unspecified) world where she landed her ship in the mountains. She began the preparations required to change into an archlich earlier in her career. Perhaps this means that the process for transforming into an archlich, which is "a very rare form of undead" according to the New Monsters section is something that was known in Blackmoor. "Archliches are transformed human spellcasters of good alignment who have deliberately and carfully accomplished their transformation into undeath. These caring individuals do so to serve a cause or protect a loved being or place, and devote their undeath to the furtherance of their purpose." Perhaps you could create an archlich for your own game. As for this being the Greyhawk Blackmoor (G-Blackmoor) instead of the Mystara Blackmoor (M-Blackmoor), I wonder if one Blackmoor could become a spelljamming civilisation and then send out ships that found a colony of the same name on another world. If you wanted G-Blackmoor to be a colony of M-Blackmoor, you could even make Khoronus into one of the founding fathers of the region. Sharangar's (unnamed) husband could be just one of many captains that flew ships from the new colony, and ships could travel between the two Blackmoors until some sort of world-changing event caused them to become cut off from each other. "some sort of world-changing event caused them to become cut off from each other." Sadly, too many bits of D&D have been held back because of legal stupidity. 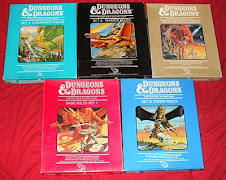 Just imagine how much more Blackmoor we could have had if the sort of stuff done for the d20 System was done back in the days of AD&D or how much more Greyhawk stuff we could have had if Gary G. had been publishing other continents on Oerth. Maybe, if Paul Westermeyer works out the timelines, it would be possible to sort out the background of Blackmoorian spacefaring exploration. "Great Blog. Thanks for all the work you have done. It is greatly appreciated"
LAST HOURS - Tournament of Death 3 Kickstarter - Back It Now! Breeyark.org - "It's OK — Gary sent us." The Library: Retro and Classic Fantasy Games. "Havard, I swear that you have nothing to do all day and night but sit back and come up with obscure Blackmoor questions. That's so cool!" Encounter Magazine #4 is out! You are playing it wrong! Dave Arneson (1947-2009) Rest in Peace . Your legacy lives on.